Credit Rating Agencies | Lysander Funds Ltd.
Credit rating agencies (CRA) are companies that rate the debt securities of larger issuers of debt (typically greater than $100 million in outstanding debt), including government, corporations, special purpose trusts, and other entities. There are rating agencies or bureaus that provide credit information on smaller-sized companies such as Dun & Bradstreet, as well as on individuals, such as Equifax and TransUnion. This article is focused specifically on the CRAs. Credit ratings have been around for about 100 years with Moody’s Investor Services (Moody’s) and Standard & Poor’s (S&P), the first two U.S. companies to issue ratings on bonds in the early 1900s. In the U.S., there are currently ten Nationally Recognized Statistical Rating Organizations (NRSRO), which are overseen by the U.S. Securities Exchange Commission (SEC). The three largest CRAs globally are Moody’s, Fitch Ratings (headquartered in France), and S&P, which together dominate ratings, particularly in the U.S. and Europe. Canada’s only independent CRA is Dominion Bond Rating Services (DBRS), which is active in the U.S. and Europe as well. Each of Japan, Korea, China, Mexico, and several other countries have credit rating agencies as well, which have not really made any inroads outside of their domestic markets. The primary purpose of a credit rating is to provide investors or prospective investors with an independent view of the credit quality of a particular debt issuer and/or that issuer’s bonds. Credit ratings play an important role in the capital markets by helping to facilitate bringing issuers and fixed income investors together. The credit rating scale runs from a high of ‘AAA’, which is typically reserved for the highest credit quality sovereign, corporate, or structured bond issuers, down to the lowest rating of ‘D’, which means the issuer has defaulted on its obligations. Bonds rated BBB- and higher are typically referred to as investment grade bonds, whereas bonds rated BB+ and lower are referred to as sub-investment grade, speculative grade, or ‘junk’ bonds. Higher rated issuers are typically able to issue bonds at lower credit spreads than lower rated issuers, for any given term to maturity. Post-rating statistical analysis has shown that credit ratings can be a reliable predictor of the risk of default by issuers. For example, ‘B’ rated issuers have a higher experienced level of default than ‘BB’ issuers, which have a higher experienced level of default than ‘BBB’ issuers, and so on. Ratings and rating agencies however, should not be used exclusively in the credit analysis and investment process. In fact, rating agencies have come under significant criticism for their role in the credit crisis of 2008. In particular, it was clear that the financial models used for many of the asset backed securities (ABS), such as Residential Mortgage Backed Securities (RMBS), Commercial Mortgage Backed Securities (CMBS), and Collateralized Loan/Debt Obligations (CLO/CDO), were fundamentally flawed with respect to their assumptions. Many of the securities carried AAA ratings, the highest ratings issued by the CRAs, but many came under serious stress during the credit crisis and many defaulted. The CRAs were also widely criticized for their ratings of financial institutions and certain sovereigns as well. In Canada, DBRS came under significant criticism for its flawed ratings on Asset Backed Commercial Paper (ABCP). There has also been significant debate over the inherent conflicts of interest in the rating agency model, in that the very companies being rated are paying the CRAs for their ratings. Another key area of concern for debt investors is that, despite the flaws of rating agencies, credit ratings are embedded into certain legislation or regulations. This means that certain debt investors are required by law or regulation to rely on credit ratings, when it is clear the CRAs can sometimes make significant errors or have flawed models. Rating agencies claim that their ratings are merely ‘opinions’ and should not be relied upon, or considered a recommendation to buy or sell a particular instrument, yet the requirement to use them remains embedded in legislation. Despite significant pressure on the CRAs from regulators in the U.S. and Europe, credit ratings and credit rating agencies are likely to remain an important component of the debt capital markets around the globe. Although they are not always right, they do provide relevant input to debt investors. There are various rating scales used by the CRAs, including long-term ratings, short-term ratings, preferred ratings, and financial strength ratings. Table 1 below summarizes the long-term rating scale for debt securities, which are the most widely used ratings. The same scale is assigned to issuers and reflects the specific issuer’s long-term credit quality. Adequate/medium credit quality. Lowest category of investment grade. Speculative credit quality. Subject to higher default risk than investment grade. 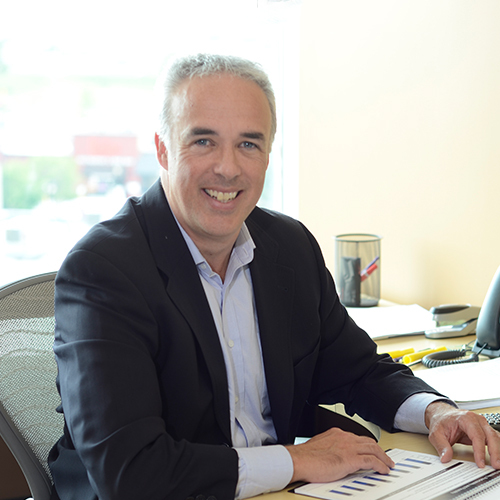 Joe Morin received his Chartered Financial Analyst designation in 2011. Joe joined Canso Investment Counsel in 2009 as a partner. He is a portfolio manager and is the lead of all of Canso research activities. Joe has held various positions in private lending, credit management and credit research in the past number of years including Export Development Canada, Nortel Networks, and Standard & Poor’s. Prior to joining Canso, Joe was a Director of Corporate Debt Research at BMO Capital Markets responsible for covering the Canadian telecom, cable, media, retail, real estate and credit card ABS sectors.